Updated November 2, 2016 – The Oticon Ino series of hearing aids are affordable Oticon hearing aids that deliver basic operation, with clear and comfortable sound processing technology. Available in a wide variety of styles and colors, the Oticon Ino hearing aids are designed to fit just about any user’s preference. Ino and Ino Pro hearing aids are available in Receiver-In-The-Ear (RITE), miniRITE, Behind-The-Ear (BTE), miniBTE, and a variety of custom In-The-Ear products, including Half-Shell/Low-Profile (HS/LP), In-The-Canal/Half-Shell (ITC/HS), and Completely-In-The-Canal (CIC) styles. The BTE, ITC/HS and CIC models are also available in Power models, providing hearing to those with severe hearing loss. Like some of Oticon’s other hearing products, the Ino is available in two performance levels: the Ino, and the Ino Pro. 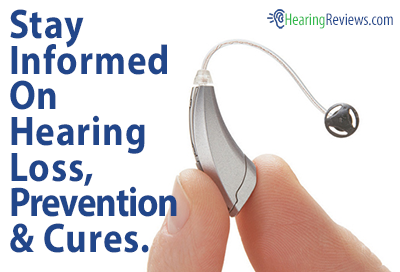 The Ino Pro is the more premium hearing device, and comes equipped with a larger variety of features than the Ino. Noise Management: Noise-cancellation technology helps make the Ino and Ino Pro user’s time in noisy environments much more comfortable. Reducing the volume of this background noise can help reduce mental fatigue, while also allowing users to focus on the sounds they want to hear, like conversations. Automatic Directionality: This feature automatically allows users to focus on the speech sounds in front of them, reducing sounds from all other directions. This can help make in-noise conversations a much easier task. Feedback Cancellation: This feature instantly eliminates feedback in the user’s Ino hearing device before it is even noticed by the user. Without this annoying whistling, which is often a problem on the telephone for some other hearing devices, users can enjoy much more pleasant phone conversations with his or her friends and family. Binaural Coordination: This feature automatically synchronizes volume and program changes on both devices after an adjustment is made to one device. 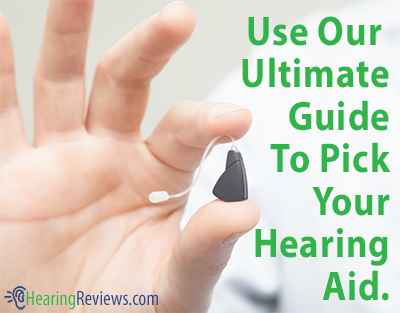 This allows users to make faster adjustments to their Ino hearing aids. Adaptive Directionality: This directional microphone technology helps users improve their speech hearing and understanding, particularly in noisy situations where hearing can prove difficult for those with hearing devices. ConnectLine Compatibility: With compatibility with the ConnectLine products from Oticon, users are provided with wireless access to their electronic devices, including televisions, telephones, MP3 players, computers, and other devices. FM Compatibility: The Ino and Ino Pro hearing aids are compatible with Oticon’s Amigo FM transmission and receiver system that helps provide easier hearing to users, especially in classroom settings. With the devices’ ConnectLine compatibility, Ino and Ino Pro wearers can experience enhanced listening power in a variety of situations. Users are provided with easy, wireless access to the audio of his or her televisions, telephones, MP3 players, and other electronics. Users are also provided with convenient FM solutions. These devices, manufactured by Oticon, are outlined below. The Amigo is a classroom FM transmitter and receiver system designed to deliver enhanced hearing to students in a classroom (or other) setting. A microphone, and an FM transmitter are worn by a teacher, parent, speaker, or coach, while an FM receiver is worn by the student (typically plugged into the bottom of the user’s hearing aid). As the teacher speaks, the student’s FM receiver picks up the audio, and delivers it directly to the hearing aid, allowing users to hear crystal clear audio. These devices help ensure that the student is not missing anything. Designed to be worn around the hearing aid wearer’s neck, the small Streamer connects the user’s hearing aids to the his or her telephones, ConnectLine products, or other electronic devices. When used with a telephone, users can have hands-free conversations with friends and family, using their Ino hearing aids are wireless ear pieces. The Streamer allows users to switch between hearing the audio of multiple devices, eliminating the need to reconnect to hear the audio of a different device. The Streamer also has the ability to act as a remote control for adjusting the settings of the user’s Ino hearing aids. This small device is designed to deliver streamed, wireless audio to the user’s hearing aids, directly from his or her television. It allows users to watch television at a volume that they can easily hear, while their family watches at a volume that is comfortable for them, so everybody is happy. The TV Adapter is designed to connect to the audio output of any television, and with its range of 30 feet, users can continue to hear the television’s audio even if they leave the room. This small microphone is designed to be discreetly worn by the person the Ino hearing aid wearer is speaking with. This makes conversations, especially in loud places, much easier to follow. The microphone features built-in noise-reduction technology that filters out unwanted background noise, so the Ino wearer is not bombarded with it. The ConnectLine Microphone transmits crystal clear audio up to 15 yards. This accessory lets the user’s standard landline telephone act like a Bluetooth capable mobile phone. The Phone Adapter sends the user’s telephone’s signal up to 30 feet away to their Streamer. The Streamer then sends the phone’s signal to the Ino hearing aids. With this device, users can answer calls, and use their hearing aids as wireless ear pieces for making easy, hands-free calls, anywhere within a 30 foot radius of the adapter. This isn’t the only model we have, see the other Oticon Hearing Aid.